Water line break in the CS/EE building this morning. It's on the EE side, so my office is OK. Cops are guarding the building, and only certain people allowed in (why is this a police matter?). I leave home believing I'm "certain people". By the time I arrive, the policy has changed, so I don't get in. The power gets turned off shortly thereafter anyway, so that's not a big deal, but it's still a wasted trip. 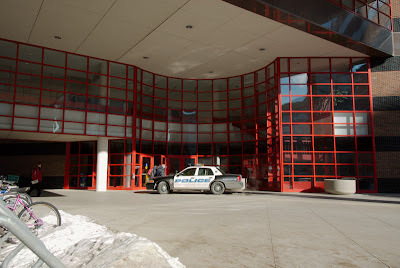 The cops get major dickhead points for leaving their empty cruiser idling in front of the building for hours and hours.